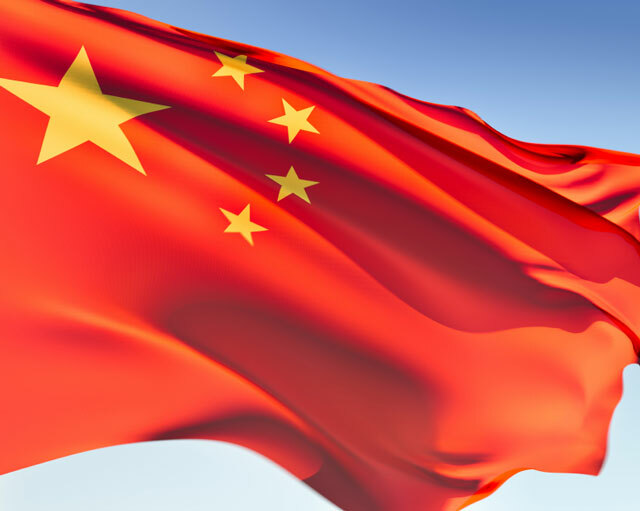 While there have been several Chinese national flags throughout history, today's flag was introduced in 1949, when the People's Republic of China was formed. China's original flag, introduced in 1872, featured a blue dragon on a yellow background. After the 1911 revolt, the flag changed to five different colored stripes. Today's flag features five stars in the left-hand corner — one large star surrounded by four smaller stars — on a red background. The red background is known as China's traditional color and dates back to the Han Dynasty in 206 B.C., but also represents the Communist revolution. The large star represents Communism, while the four smaller stars represent the Chinese people's social classes. These four classes are peasants, workers, petty bourgeoisie, and patriotic capitalists. Finally, the total number of stars adds up to five, which has always been an important number in Chinese philosophy. China is located in East Asia, south of Mongolia and the Siberian land mass, west of the Korean Peninsula and Japan, north of Southeast Asia, and east of Central and South Asia. Lands that border China include Afghanistan, Bhutan, Burma, India, Kazakhstan, North Korea, Kyrgyzstan, Laos, Mongolia, Nepal, Pakistan, Russia, Tajikistan, and Vietnam. China covers about 9,596,960 square miles, of which almost 70 percent is mountains, hills and highlands. One of China's mountains, Mount Everest, is the highest in the world, while another, K-2, is also one of the world's highest mountains. Of the five main mountain ranges in China, seven of its peaks are above 8,000 meters above sea level. The country's topography also includes plateaus, basins, plains, and hills. These maps of China show China's east Asian location as well as its major cities, highways, and natural features. While most of China is in the northern temperate zone, the entire country does have a very varied climate. The south is tropical while the north is cold-temperate, and the Himalaya Mountains experience sub-arctic temperatures. China is the world's largest producer of antimony, and other natural resources include graphite, tungsten, coal, zinc, crude petroleum, diamonds, gold, and mercury. Because of the height and breadth of its mountain ranges, China also has the largest potential for hydropower in the world. Politically speaking, China is made up of two states that use the name China: the People's Republic of China, which controls mainland China, Hong Kong, and Macau; and the Republic of China, also known as Taiwan, which controls both Taiwan and the islands that surround it. Today there are hundreds of ethnic groups in China, as well as several different languages. Most of the languages in China belong to the Sino-Tibetan language family. These languages are spoken by 29 ethnicities, of which there are several different dialects. Dialects include Mandarin, Wu, Yue, Min, Xiang, Gan, and Hakka. China boasts one of the world's oldest civilizations, and is one of the first countries to have evidence of a written language. Until the 20th century, classical Chinese was the written language of choice, and allowed people from all different regions with all different dialects to communicate. China is home to Confucian thought and Taoism, but many other religions, including Buddhism, Christianity, Islam, and Judaism, have adherents in China as well. 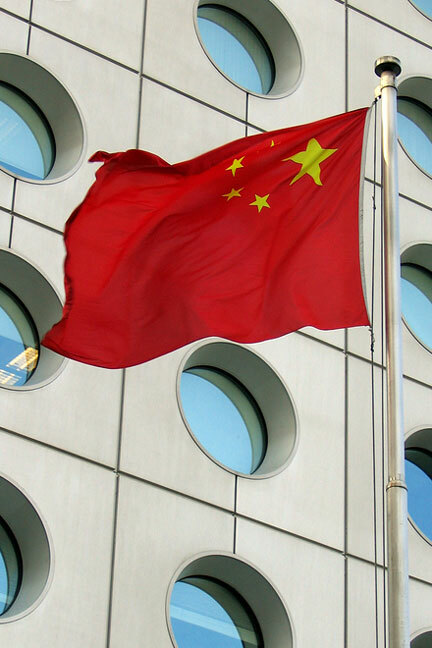 China Facts - information about China and its flag. People's Republic of China - Chinese Government official web portal. China Map - China maps, geography, and tourism. China News - news articles and facts about China.